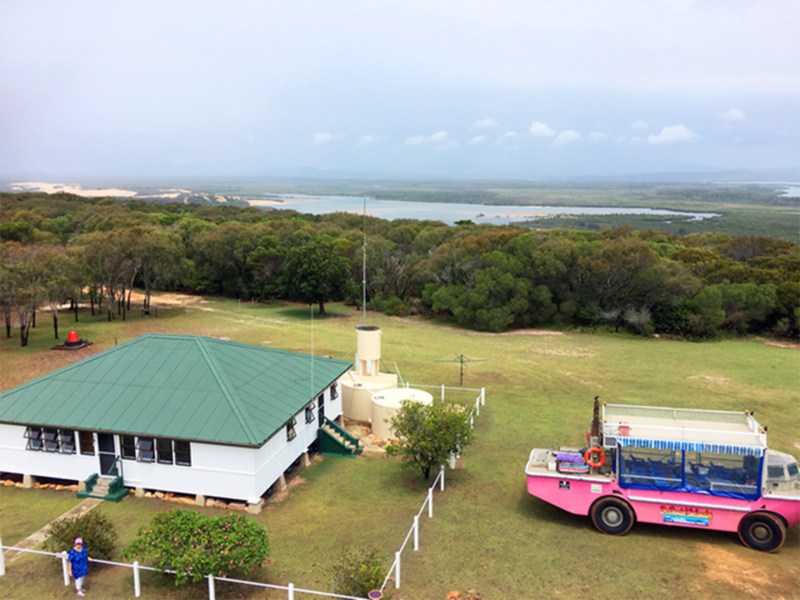 Bustard Head Lighthouse | Lighthouses of Australia Inc.
Cape Moreton lighthouse commenced operation in 1857. The new colony of Queensland separated from New South Wales in 1859 and in 1868 Bustard Head was established in the new colony. Bustard Head was named by Captain James Cook in 1770, in honour of a bustard which was shot and eaten by the landing party. Along with Sandy Cape Lighthouse it is made using prefabricated segments of cast iron bolted together. In 1932 the original cottages were destroyed in fire and in 1935 the outside stairs were relocated inside the tower. The lighthouse was automated and de-manned in 1986 and left to the elements. In 2001 the Bustard Head Lighthouse Association, a volunteer organisation led by Stuart Buchanan obtained a lease and restored the site. The lighthouse grounds are open all year round accessible only by boat (or LARC). LARC tours from the nearby town of 1770 have a day tour to the lightstation and offers access to the tour. One of the keepers cottages and the powerhouse are open as a museum.